King Felipe today awarded Princess Leonor, heir to the Spanish throne, the Crown’s top honor. Leonor, Princess of Asturias, became a member of the Order of the Golden Fleece during a ceremony at the Royal Palace in Madrid. At 12, the Royal Household and Spanish government have been getting the princess ready to assume official duties in the coming years. The award coincides with King Felipe’s 50th birthday. In recent days, he released a behind-the-scenes video of his family life. The video includes images of the Zarzuela Palace complex not before seen by the public. Critics said the Crown should be even more transparent. King Felipe arrived at the World Economic Forum in Davos, Switzerland, yesterday and already made news. In remarks, the King promoted a global Spain committed to innovation. He also touched on the Catalan crisis. A lesson to be learned from this crisis — a lesson not only for Spain, but for democracies in general — is the need to preserve the rule of law as a cornerstone precisely of democracy, and to respect political pluralism and the basic principle of national sovereignty that -in fact- belongs to all citizens. Political disagreements and disputes must be resolved in accordance with the democratic rules and values laid down in our Constitution and legal framework. Spain’s Constitution, as you can all well understand, is no mere ornament. It is, rather, the very expression of the will of our citizens and the key pillar of our democratic coexistence. As such, it deserves the utmost respect from each and every one of us. My country is a law-abiding State where legal certainty prevails and therefore the Constitution and the laws are effectively enforced. The King also met with corporate and world leaders, including Juan Manuel Santos of Colombia, and Spaniards participating at the conference. U.S. President Trump is also due in Davos this week. But King Felipe has a public event back home tomorrow. It doesn’t seem the two will meet. King Juan Carlos and Queen Sofia were in Rome on Friday to celebrate a lighting project at the Basilica di Santa Maria Maggiore. Spanish company Endesa backed the installation, and Spain’s monarchy has for centuries had ties to the basilica. King Juan Carlos was born in Rome, in exile from Spain after the Civil War. 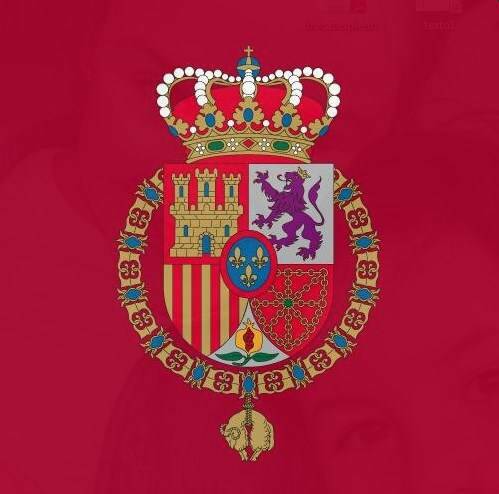 Members of the Spanish Royal Family honored King Felipe’s father, King Juan Carlos, last week. The Royal Household last year kept Don Juan Carlos away from a celebration of the Spanish Constitution, which he signed. This year there appears to be a pivot to celebrating the King who abdicated in 2014 and helped lead his country’s transition to Democracy during the 1970’s and 80’s. King Felipe praised his father during the Pascua Militar ceremony at the Royal Palace in Madrid, which coincides every year with Epiphany. Earlier, family and guests were at Zarzuela Palace for King Juan Carlos’ 80th birthday. Infanta Cristina, whose husband was convicted of financial crimes, was not in the official pictures.